We Are The Bitters is a trio of transplants that have a found a lovely home here in the valley. 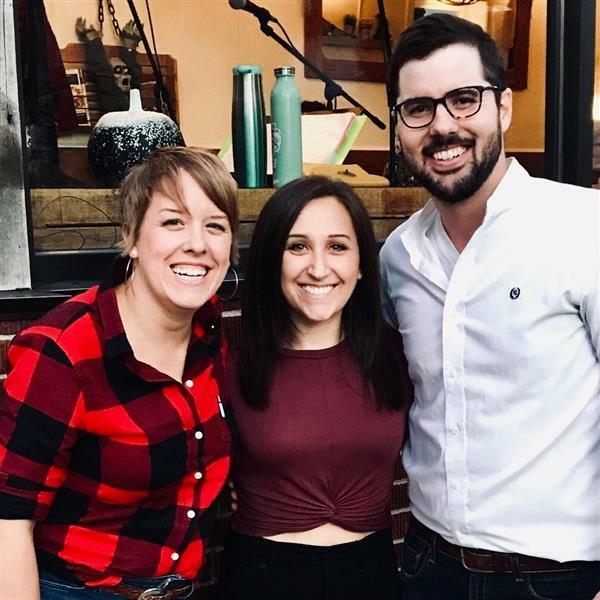 With swirling three-part harmonies and a gentle dose of acoustic guitar, this young group will cover some familiar tunes, some not so familiar tunes and a few of their own. Everything from Bob Dylan and Janis Joplin to The Civil Wars and The Milk Carton Kids. As a side note, Sean is an NCC FabLab instructor who plays his dreadnought guitar he built here at the Lab as a student two years ago! Come join us for a night of songs that will be sure to warm up and brighten your cozy night at the FabLab Coffee House.